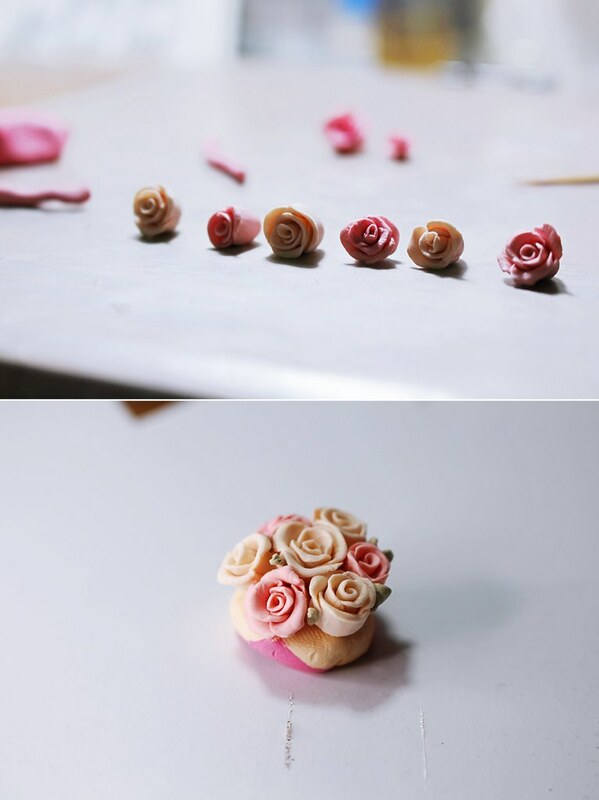 This is the first one where I’m not making miniature food and challenged myself to making roses. I was making a lot of roses last week and decided to make them smaller and smaller; it’s quite addicting! I made smaller scale roses in a similar fashion to how I made the rose for the rose comb from a previous post. I can’t find anything small enough to make circles so instead of stamping out circles, I rolled them into tiny balls and flatten them to create the circles needed for the petals. Once I have an appropriate amount of roses, I got some leftover clay and made a little rounded “pedestal”. I added leaves using small pieces of green clay and it was ready to be baked. After baking, I glued on two pieces of bent in half wires and began cutting squares from tissue paper (which I had leftover from Victoria Secret purchases and birthday gifts haha). 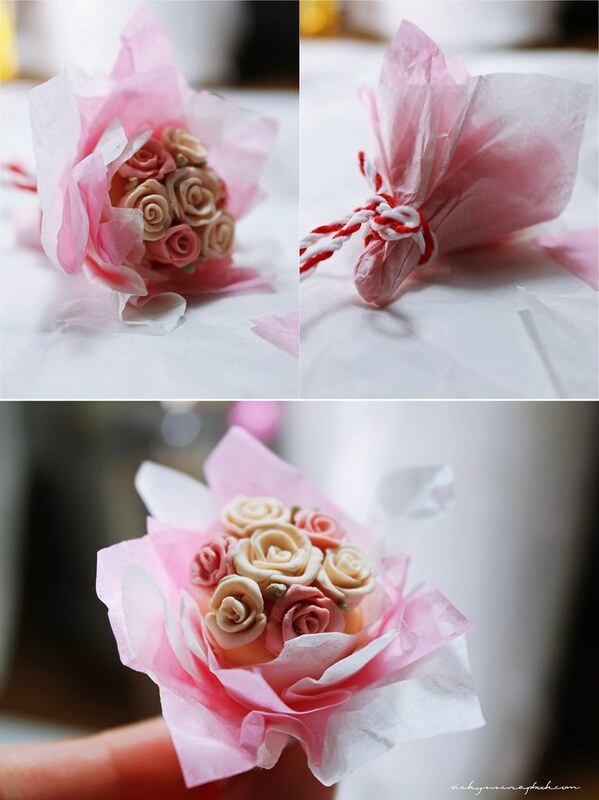 With a lot of the tissue paper, I wrapped it around the wires but made sure to leave the roses exposed. It’s completed after I secured the tissue paper with a string. I would love to receive some real roses some times but this will do for now. 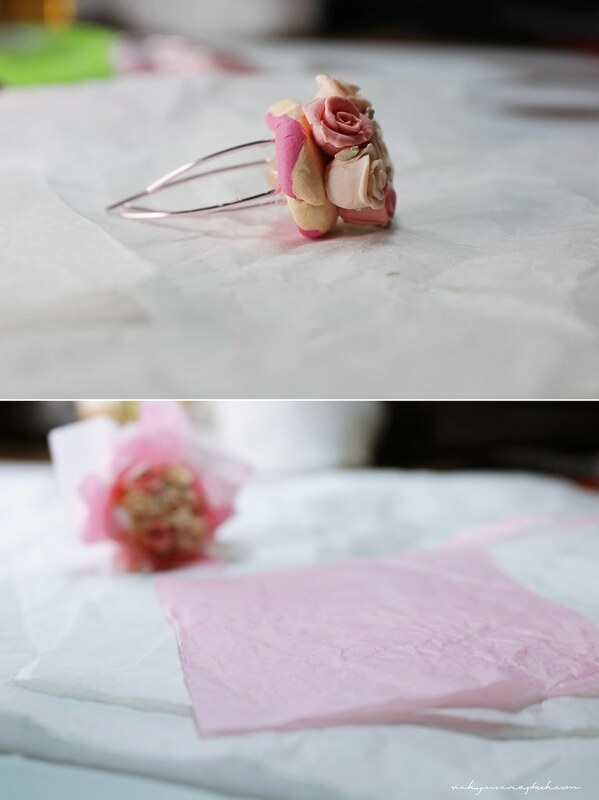 This is so tiny and cute ❤ The idea with the tissue paper is great! So cute! You’re SO talented!